Letroy Guion has been arrested for the second time in two years. Letroy Guion is not having a great 2017.On Wednesday morning, the Green Bay Packers nose tackle was arrested and charged with operating a vehicle under the influence of an intoxicant in Waikiki, Hawaii according to KHON TV. He was pulled over by police at 4 a.m. and he failed a breathalyzer test. This is not the first time Guion had a run-in with the law. Back in 2015, Guion was arrested for possession of a firearm and marijuana. The Packers are now in the offseason and there’s a lot of work to be done to get ready for next season. Make sure you’re in the loop – take five seconds to Sign up for our FREE Packers newsletter now! The NFL has already punished Guion for an unrelated incident. Back in March, Guion was suspended by the NFL for four games this season for a violation of performance enhancing drugs. He was suspended the first three games in 2015 for his arrest. Last year, Guion started 15 games and recorded 30 tackles with seven tackles for loss. He has two years left on his contract. 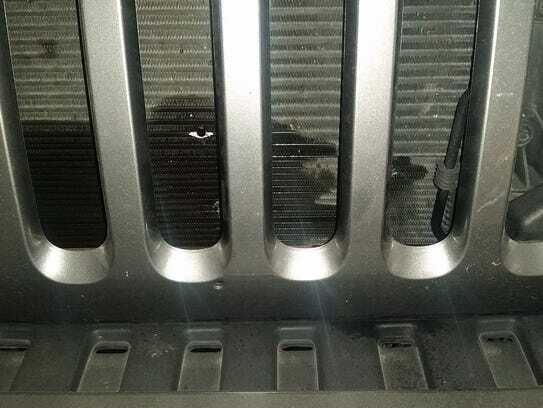 DES MOINES — An early morning run-in with security guards at Des Moines Water Works Park last month left an Iowa man with three bullet holes in the radiator of his SUV and a concern for others visiting the park. 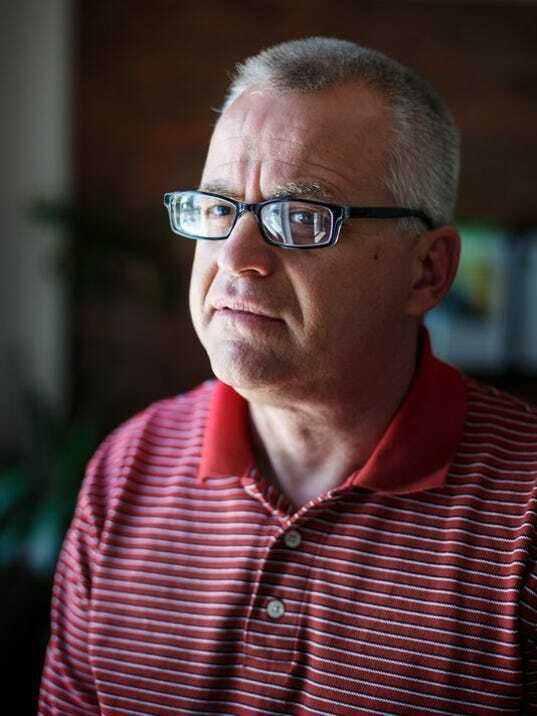 Scott Richardson, 50, spent May 13 riding bikes with friends. The group stopped at a downtown bar and restaurant before Richardson returned to Water Works Park at about 1 a.m., three hours after the park had closed. He loaded his bike onto his 2013 Jeep Wrangler and headed toward the exit. That’s when a car with flashing amber-colored lights pulled in behind him. He said he did not stop because he assumed it was security — and not law enforcement — “making sure that I exited the park.” He knew he was approaching a gate that had a sensor to open it, so he continued driving. When Richardson didn’t stop, the car pulled around him and blocked the exit. Two security guards got out of the vehicle. One of the men fired three rounds from a 9mm handgun into Richardson’s engine. The guards from On Point Security Group, a private company based in Clive, Iowa, later told police they wanted to stop Richardson to tell him the park was closed and his vehicle could have been towed. Richardson was arrested by police for operating while intoxicated. A preliminary breath test taken on scene showed Richardson’s blood alcohol content at .106. He registered .088 on a second breath test taken an hour later. The legal limit to operate a motor vehicle in Iowa is .08. Richardson disputes that he was driving fast or erratically, and said he had come to a complete stop before the shots were fired into his car. The police report makes no mention of his driving style. A Des Moines Police Department spokesman called the shooting questionable, but no charges were filed against the shooter. Police have forwarded the case to the Polk County attorney, who will decide whether to file charges. Former reality TV star also doesn’t want the man who was killed in the incident referred to as a “victim”Tim Kenneally | June 16, 2017 @ 5:22 PMBuchanan County Sheriff’s DepartmentThere will be no drunk talk in the case against “Bachelor” alum Chris Soules. At least if he has his way.Soules, who was arrested and charged with leaving the scene where a death occurred in Iowa earlier this year, has filed a motion asking to suppress any alcohol-related evidence in the case against him.The motion reasons that the evidence should be suppressed because Soules tested negative for drugs or alcohol.ADVERTISINGAlso Read:Chris Soules Pleads Not Guilty to Leaving Scene of Fatal Accident“Any evidence, testimony, reference, or argument that, on the night in question, Mr. Soules: 1) purchased alcohol, 2) consumed alcohol, 2) drove while impaired, or 3) had beer cans in or around his vehicle” are inadmissible, the motion contends. “According to a report issued by the Iowa Department of Criminal Investigation’s (DCI) Criminalistics Laboratory, Mr. Soules’ specimens were negative for drugs and alcohol. The DCI conducted thorough toxicology testing on two separate samples – his urine and blood – and conclusively determined no detectable amounts of alcohol or drugs were in either specimen.”Soules was arrested at his home near Arlington, Iowa, following a fatal crash that left 66-year-old Kenneth Eugene Mosher dead. The former reality TV star was taken into custody after the pickup truck he was driving rear-ended a John Deere tractor, according to the Buchanan County Sheriff’s Office.In a May filing, Buchanan County, Iowa, attorney Shawn M. Harden said that Soules bought alcohol at a convenience store prior to the crash, ABC News reports.Also Read:’Bachelor’ Alum Chris Soules Formally Charged in Fatal CrashHarden also alleged that the reality TV veteran had “empty and partially consumed open” alcoholic beverages “located in and around his vehicle.”Friday’s motion also asked that Mosher not be identified as a “victim” in the case.“The State has not charged Mr. Soules with any crime asserting he is criminally responsible for the death of the decedent. Thus, it is wholly improper for the State or any witness to refer to the decedent as a ‘victim’ since such a reference inaccurately characterizes the events relevant to the instant charge and would not have any tendency to make the existence of any fact that is of consequence to the determination of this action more probable or less probable than it would be without the evidence and is more prejudicial than probative, will cause confusion of the issues and will mislead the jury as finders of fact,” the motion reads.Also Read:’Bachelor’ Alum Chris Soules Bought Alcohol Shortly Before Fatal Car Crash, Prosecutor SaysPreviously, Soules filed a motion to dismiss, contending that he satisfied the Iowa code governing conduct in such instances.According to court papers filed by the former reality TV star in Iowa district court, Soules — who gained notoriety as “Prince Farming” on the reality series — “unhesitatingly identified himself and his role in the accident” in a 911 call and “tried his utmost to resuscitate” Mosher.“Mr. Soules described the location of the accident and communicated with dispatch for approximately 5 minutes and 45 seconds while help was en route,” the court papers read. “The evidence will further show that emergency responders arrived on the scene shortly after Mr. Soules concluded his 911 call. Mr. Soules remained on the scene with those emergency responders for several more minutes before returning to his home.”Also Read:Former ‘Bachelor’ Chris Soules’ New Attorneys Say He ‘Acted Reasonably’ Following Deadly Car CrashSoules has pleaded not guilty. Hello, I have been charged with a dui but I refused to take any tests. I was parked and the police officer was inexperienced. It was his first dui arrest. I was fully aware of everything that was going on and wasn’t drunk. Just scared to take any tests because I have never been in trouble before. Would love to hear from you, thanks. I can see two possible defenses already. Please call to set a consultation. I have received my 3rd dui after 9 years with a bac over .20 my first court date is less then 2 weeks after the offence is that normal? It is quite soon. You may ask to judge for more time to retain an attorney.